Q: What is check-out time? A: 10am, we can be flexible with this on request but rooms must be vacated before cleaning staff leave for the day. A: Yes, free wireless broadband internet to all of our rooms. A: No, but we do have a BBQ available for guest use. A: We are located right in Walchas shopping centre. 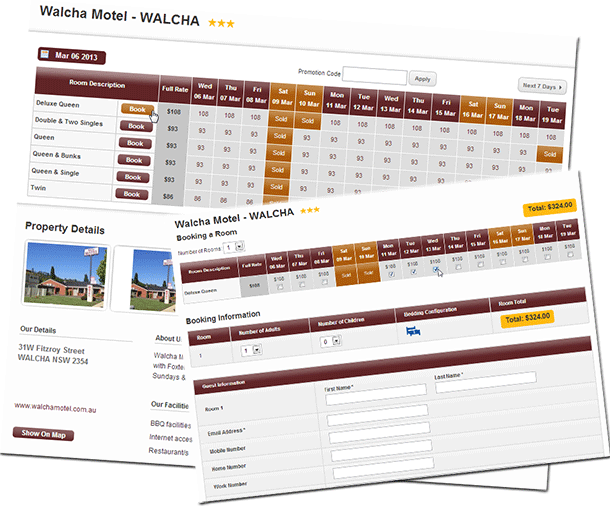 A: Walcha Motel offers room service meals, We are also within 2-5 minutes walk to a number of restaurants and fast food outlets. 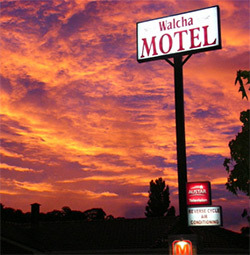 including Walcha Chinese Restaurant (in the New England Hotel), Walcha Bowling Club, Walcha Ex-Services Club, Apsley Arms Hotel, Commercial Hotel, Cafe Graze, Walcha Royal Cafe, Cafe Amor & several take-aways. A: Yes, in all rooms. A: Cancellations must be made at least 24 hours prior to check in date and time. Cancellations received less than 24 hours, the full amount for the first cancelled night may be charged. A: Credit card details are required to secure room booking or pre-payment of first night accommodation. Q: Do you have a gym or pool? A: No, but Walcha has a council pool open from November to March. There is also a gym at the pool complex. Q: Is there lock-up parking for motorcycles? A: No, but most parking is directly in front of the rooms. The car park is of a courtyard design and most rooms are not visible from the street. There are covered verandahs in front of the rooms and we are quite happy for bikes to be parked there as long as access is not impeded for other guests. Q: Is there parking for trailers and trucks? A: Limited parking for trailers, best to check with us first. Please note we have a 2.48m height restriction at the entrance. Sorry, we can not accommodate trucks on site but there are options available.